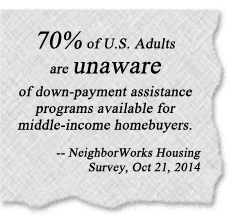 Have You Looked Into Down Payment Assistance? Many people are in the market for a home, whether they’re renting or buying. Of all the potential home buyers, many people think they need to put 20% down on the home. That’s a pretty difficult feat, and it’s intimidating to think of the amount of money you’ll need to save, spend, and borrow. Even the National Association of Realtors says, “the most difficult step in the home buying process is saving for a down payment.” While that might not be comforting, there are many resources potential home buyers can tap in to. These programs can help take away some of the intimidation factor when it comes to down-payments, mortgages, loans, and buying a home. There are more than 2,400 home buying assistance programs in our country. They’re diverse enough to suit lifestyles all over the country, and sometimes they’re unique to specific areas. In fact, North Carolina recently began supporting a Wells Fargo initiative called “NeighborhoodLIFT” in January, 2017. 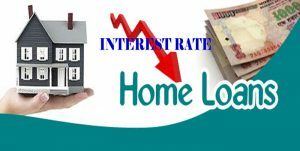 Courtesy of National Home Buyer’s Fund Inc.
Interest rates are low, which is to say it may be a good time to buy a house if you’re financially ready. So, you have your financial affairs in order, you’re ready to make the jump, but you’re stumped with the actual down payment. How are you going to afford it? Affording this financial hurdle may not be as difficult as you think. There may be an assistance program out there for you. Now that we’ve discovered home buying assistance programs and financial support, we can discuss what kinds exist, what they do, who offers them, and common eligibility qualifications. The good news is there are many organizations that offer home buying assistance. 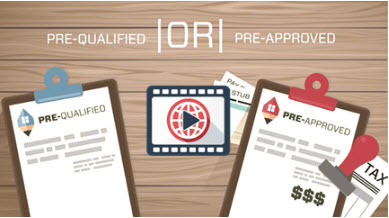 They range from employers, to non-profits, housing authorities, State Housing Finance Agencies, and even cities or counties with criteria adjusted for that specified area. These organizations are committed to making home ownership affordable. There are several types of home buying assistance programs, but the financial assistance typically comes in the forms of: grants, second mortgage loans, and tax credits. Grants, in simple terms, are funds you don’t have to pay back! While that sounds simple, there are mild stipulations like you don’t have to pay the grants back, as long as you own the home and you stay in it for a particular period of time. Easy, right? Second mortgage loans are a very common source of financial assistance for home buyers. They have low or no insurance rates and payments are over a specified time span. What’s more? In certain cases, these second mortgage loans are forgiven completely. Finally, tax credits work to help you get more money upfront. These credits are issued by state or local governments and they help diminish the amount of federal income tax you pay. More money becomes available for you at the closing of your new home this way. What Do These Home Buying Assistance Programs Look Like? There are three really common types of home buying assistance programs. Here’s what they look like, and what they might offer. These programs are normally in the form of second or third mortgages, and grants. The actual financial support can range hundreds to tens of thousands of dollars to put towards the costs of purchasing a home. Some of these costs can include closing costs and repairs. Their restriction is based on household income as well as sales price. These factors range city to city, and even state to state so you can tap into local resources to find out if you’re eligible. Anything with the word “affordable” in it has promise. Some financing agencies will offer first mortgages which usually have a low interest rate. You might even be able to reduce some closing costs with it, too. These guys are federal income tax credits. Issued by the state or local government, MCCs claim part of their mortgage interest as a tax credit. They are supposed to help first-time home buyers, offering up to $2,000 a year for every year the owners spend in the house. Previously occupied homes are eligible for up to 30% annual interest paid, whereas new homes are eligible for 50%. As long as the buyer stays in the home, they may continue to receive the tax credit. You can find out if you’re eligible for down payment assistance with this tool. The North Carolina Housing Finance Agency is continuing to offer down payment assistance. Up to 5% of the total loan! Are you qualified for this down payment assistance? Looking for a fast turn-around? Loans through the NCHFA down payment assistance are approved in less than one day. Owning a home is one of the most expensive investments you’ll make, but it doesn’t have to break your bank. If you need any more information or assistance navigating this program, don’t hesitate to reach out! “We as a city have prioritized affordable housing. The city is growing by leaps and bounds which also means it’s getting more expensive,” said Mayor Nancy McFarlane, regarding the NeighborhoodLIFT program recently making its way into the Triangle. If you’re interested in knowing more about down payment assistance programs local to the Triangle, don’t hesitate to reach out. Give us a call at 919-813-6449 or send us an email to [email protected] to find out more about living in the Triangle, and visit our website to view current homes for sale in the area. Overcoming the financial hurdles to home ownership doesn’t have to be a difficult experience. At Real Estate Experts, we’re ready to work with you, and help you find the best solution for what you need in both a home, and a mortgage. Are you a Veteran or currently serving in the military? Are you ready to buy a new home? 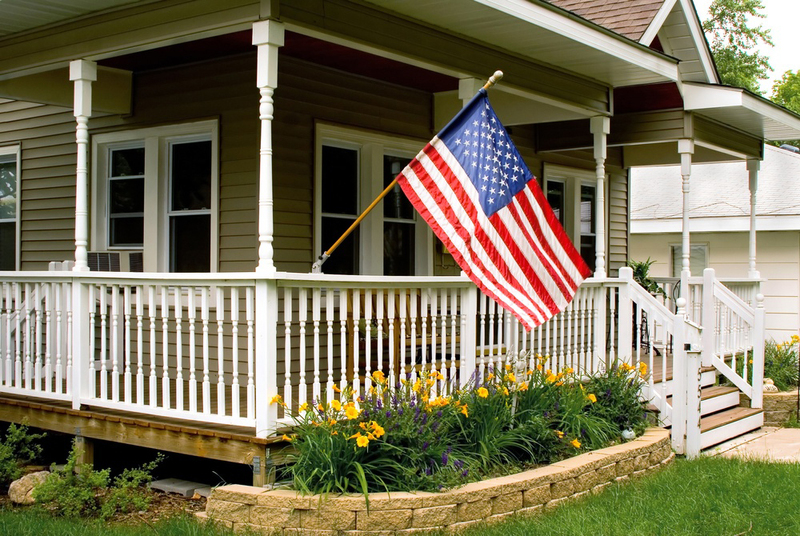 If you answered “yes” to both questions, a VA Home Loan may be the right home loan for you. In 1944, the U.S. government created a military loan program to help service members purchase homes. The VA Home Loan is a mortgage issued by approved lenders and guaranteed by the Veterans Administration. This program has helped more than 20 million veterans and their families get affordable home loans. Our lender partner, Cunningham & Company located in Durham NC, offe rs very competitive interest rates with amazing loan terms on VA loans. To be eligible, veterans, active duty service members, National Guard members, and reservists must meet the requirements defined by the VA. Spouses of military members who died while on active duty or as a result of a disability related to their service may also be eligible. VA home loans offer the following: a 0% down payment, no funding fee or a low funding fee that can be financed, reduced closing costs, and no Private Mortgage Insurance (PMI). You can finance your home for 15 or 30 years at a fixed or adjustable rate. If rates go down, VA borrowers can refinance through a streamlined process. In some cases, borrowers have the opportunity to refinance and cash out up to 100% of their home’s value. On behalf of Real Estate Experts, we thank you very much for your service to our country. A conventional mortgage is the most common type of home loan and the right choice for many people. 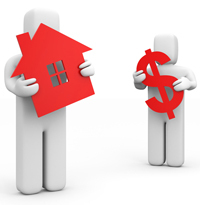 Typically, the interest rates are better, there are lower costs which give you more home buying flexibility. In fact, a conventional mortgage is the loan option of choice for 60% of all mortgage applications. Conventional loans are also known as “conforming loans,” because they conform to the standards set by Fannie Mae and Freddie Mac. Rather than being backed by a government program, conventional loans are offered, funded, and serviced directly by local lenders, like Cunningham and Company. With local decision-making and local processing, the loan process is streamlined since the borrower deals directly with the lender and isn’t dependent on government approvals. As a result, conventional loan applications typically have shorter and less complicated approval processes. The Conventional Mortgage offer several advantages, including flexibility in the term of the loan (10, 15, 0r 30-year) and fixed or adjustable rates. Plus, if you make a down payment of 20% or more, you will not need to purchase Private Mortgage Insurance (PMI). 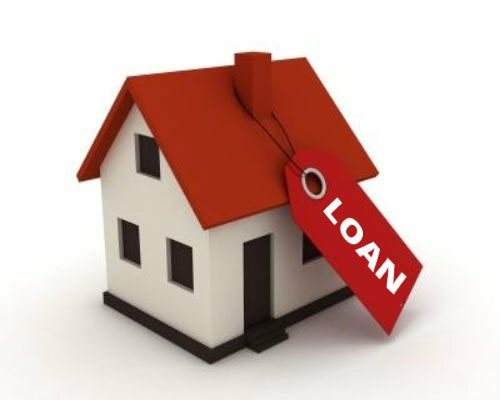 PMI is required any time you put less that 20% down on a conventional loan. If you have good credit, PMI can cost less that FHA’s mortgage insurance. Since PMI is risk-based insurance, the better your credit history, the lower your premiums, similar to auto insurance. The interest rate of a conventional loan will depend upon your credit score, down payment, and the type of property you are interested in purchasing. There are many types of properties that are eligible for conventional financing, including single-family homes, condominiums, Planned Unit Developments (which consist of detached homes within a homeowner’s association), and 2-, 3-, and 4-unit properties. And unlike government loan programs, conventional loans can be used to purchase a second home or a rental property. Rental homes do require higher interest rates and down payments, but the conventional loan remains one of the few programs available to purchase this type of property. It is even possible to be eligible for a conventional loan following bankruptcy. You will be faced with waiting periods, and you must demonstrate that you have re-established your credit. It is worth checking your eligibility. For more information about conventional loans, contact Teresa Parker, Loan Officer at Cunningham & Company Mortgage Bankers, NMLS # 2024 at (919) 697-2598 or [email protected].